1. Yogourmet, a Canadian product, can be purchased at Whole Foods or ordered and shipped to you from http://www.yogourmet.com. This product makes a perfect batch of delicious yogurt, each time. Serve the yogurt on fruit or spread on bread with tomatoes, olives, and pita bread. 2. 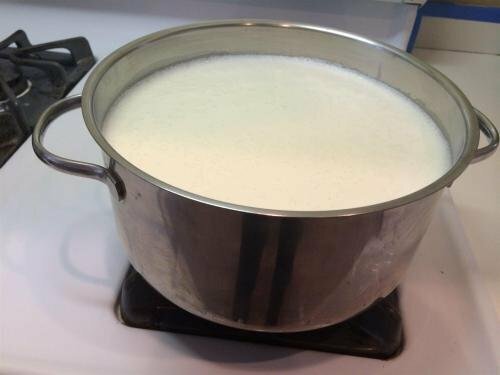 Boil milk in a stainless steel pan. Let it cool, you can hold a finger in the milk for 10 seconds, without burning yourself. Dip a clean cup into the hot milk and fill it. 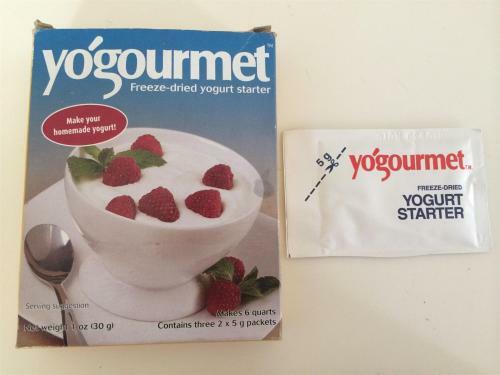 Open the packet of Yogourmet into the cup of milk and stir. (if you are using pre-bought yogurt follow the same process) Pour the cup of starter into the larger pan of milk and stir. Cover the pan and wrap it in towels or a blanket (for warmth). Let it sit in a warm place for 24-36 hours (depending on the tartness you like). 3. It will be thick and almost solid when ready. Remove lid and stir in salt. Take out the portion to be used as yogurt and add the remaining portion to a muslin bag or the corner of a clean pillowcase. Hang the pillowcase allowing the mixture to drip in the sink, or a pan until it's the spreading consistency you want (4-12 hours). It will not spoil due to the high boiling point. 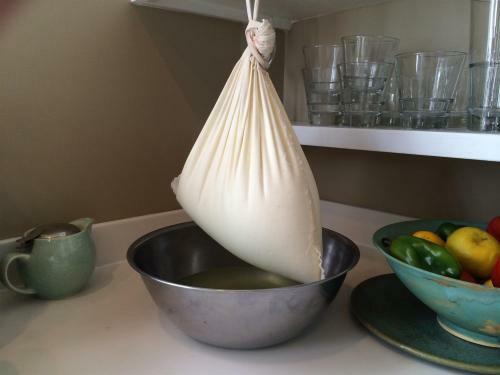 Turn the bag inside-out and remove the creamy spread to a container, cover and put in the refrigerator. It will keep approximately 3-4 weeks. Portions are not important, you could make more or less with 1 packet of starter. Thanks to Nellie, my Mother-in-law, for sharing her kitchen wisdom.